Table 1. Characteristics of studies considering the use of antibiotics associated with increased occurrence of neonatal sepsis related to resistant bacteria. Table 2. Summary of studies considering the association of the use of antibiotics and increase occurrence of neonatal sepsis related to resistant bacteria, according to the Grading of Recommendations, Assessment, Development, and Evaluation criteria. Technologies and life support management have enhanced the survival of preterm infants. The immune system of newborns is immature, which contributes to the occurrence of healthcare-associated infections. The overlap of several conditions with neonatal sepsis and the difficulty of diagnosis and laboratory confirmation during this period result in a tendency to over-treat neonatal sepsis. The use of antimicrobial agents is a risk factor for multidrug-resistant bacterial infections. This work aimed to perform a systematic review of the relationship between inadequate use of antimicrobial agents and increase in neonatal sepsis related to healthcare assistance, due to bacterial resistance. Our population, exposition, comparison, outcome and study type was as follows: P: hospitalized neonates with sepsis diagnosis, E: inappropriate use of antimicrobial agents, C: adequate use of antimicrobial agents or no indication of infection, O: resistant bacterial infection, and S: original studies. We performed searches in the PubMed, Scopus, Virtual Health Library (Scielo, LILACS, and MEDLINE), and Embase without limits on time, language, and the references of the articles found. Fourteen studies were included and assessed using the Grading of Recommendations, Assessment, Development, and Evaluation, Newcastle, and the Strengthening the Reporting of Observacional Studies in Epidemiology methodologies. All studies found were observational and started with a low-quality evidence level in the Grading of Recommendations, Assessment, Development, and Evaluation. Despite their low-quality evidence, the studies demonstrated the association between inadequate use of antimicrobial agents and increase of neonatal resistant bacterial healthcare-associated infections in neonatal units. However, there is significant difficulty in conducting high-quality studies in this population due to ethical issues tied to randomized trials. Therefore, new studies should be encouraged to recommend adequate treatment of newborns without increasing the risk of healthcare-associated infections by multidrug-resistant bacteria. The aim of this work was to perform a systematic review of the relationship between inadequate use of ATM and increase in neonatal sepsis related to healthcare assistance, due to bacterial resistance. For this review, the attributes considered when selecting the articles were: population, exposition, comparison, outcome, and study type, according to the acronym PECOS.18,19 The definition was as follows: P, neonates with sepsis diagnosis in Neonatal Units; E: inappropriate use of ATM; C, adequate use of ATM or no indication of infection; O, resistant bacterial infection; S, original studies. 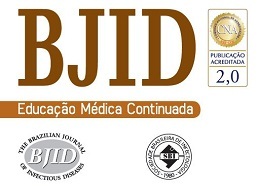 The search was carried out without limits on language or date of the study, using the PubMed, Scopus, Virtual Health Library (Scielo, LILACs, and MEDLINE) and Embase using the following keywords: “Sepsis,” “Infant, Newborn,” “Anti-Infective Agents,” and “Drug Resistance, Microbial” and their respective Portuguese and Spanish translations up to July 2017. The references from the selected articles were also evaluated and included in the selection if they met the inclusion criteria. PubMed was searched using the MeSH terms: (“Sepsis”[MeSH] AND “Infant, Newborn”[MeSH]) AND “Anti-Infective Agents”[MeSH]) AND “Drug Resistance, Microbial”[MeSH]. Inclusion criteria: All original articles that included patients with late-onset neonatal sepsis with multi-resistant bacteria, who were treated with broad-spectrum ATM, or with inadequate or prolonged empiric treatment. Additionally, only articles that defined the duration and type of ATM were included. Exclusion criteria: All articles that included patients with early onset sepsis with multi-resistant bacteria, articles which did not define duration and type of ATM therapy, and articles which considered only risk factors for colonization with multidrug-resistant bacteria. Some studies that described ATM use but did not comply with the PECOS framework were only used for the discussion section. Two independent reviewers evaluated all titles and abstracts from the database search, with the goal of identifying articles that would generally accomplish the selection criteria. Full texts of the selected abstracts were acquired and analyzed by the study type, population, intervention, comparison, and outcome to determine their inclusion. The Grading of Recommendations, Assessment, Development, and Evaluation (GRADE)20–22 approach was applied to evaluate the quality of evidence in the methods and results reported in the studies and summary of findings, as recommended by The Cochrane Collaboration. In the GRADE system,20–22 randomized trials are considered high-quality evidence and observational studies are considered low-quality evidence. The Strengthening the Reporting of Observational Studies in Epidemiology (STROBE) checklist24,25 was also used to evaluate the methods and descriptions of observational studies. The evaluation of this information was qualitative. The search of PubMed, Scopus, Embase and the Virtual Health Library resulted in 616 articles. Additionally, the reference analysis resulted in four articles, with a total of 620 articles. Among these, 16 (2.6%) were excluded as duplicates, 587 (94.7%) did not satisfy the inclusion criteria, and two (0.3%) were unclear regarding type and duration of ATM therapy. Of the 15 (2.4%) articles selected, one (0.15%) was excluded because it was only available in Mandarin. The others were evaluated and qualified (Fig. 1). Diagram of the selection of articles on antimicrobial use and increase of neonatal sepsis related to assistance by resistant bacteria. Among the 14 analyzed articles, all of them were observational studies: 10 prospective cohort and four case-control studies. In this review, there were no randomized trials or interventional studies. Ten studies described the appearance of Gram-negative bacteria (GNB) and four studies attributed the use of ATM to resistant bacterial infection and colonization. Further details about the studies are available in Table 1. Characteristics of studies considering the use of antibiotics associated with increased occurrence of neonatal sepsis related to resistant bacteria. Calil2 Prospective cohort Phase 1: 67 samples from 31 patients. Phase 3: 891 colonizations of 324 patients. Singh33 Prospective cohort From 240 colonized by resistant Enterobacteria. Flidel-Ramon28 Prospective cohort Phase 1: 5661 neonates/year. Pessoa-Silva15 Prospective cohort 13 ESBL infected patients. Evaluates risk factors related to ESBL colonization and infection. Strong relation with infection and colonization OR: 5.19 (CI 95%:1.58–17.08) and presents as a risk factor to colonization the use of cephalosporin + aminoglycosides. Le31 Prospective cohort Phase 1:130 neonates. Murki14 Prospective cohort Phase 1:1046 neonates. Landre-Peigne26 Prospective cohort Phase 1: 125 neonates. The symbol * match the score on each item evaluated from the articles. GNB, Gram-negative bacteria; OR, Odds Ratio; CI, Confidence intervals; MR, multidrug-resistant; ESBL, producers of extended-spectrum β-lactamases; MARSA, Methicillin-resistant Sthaphylococcus aureus; KPC, Klebisiella pneumoniae carbapenemase. A study can be awarded a maximum of one star for each numbered item within the selection and exposure categories. A maximum of two stars can be given for comparability. For comparability the most important factor was HAI by resistant bacteria. NNH, Number of patients Needed to Harm. The review considered evidences of very low quality, as determined by the GRADE scale.20 Table 2 shows the GRADE evaluation of all assessed studies. Summary of studies considering the association of the use of antibiotics and increase occurrence of neonatal sepsis related to resistant bacteria, according to the Grading of Recommendations, Assessment, Development, and Evaluation criteria. All the studies were observational, which present a greater risk of bias. Although three studies present methodological limitations, nothing was considered as serious to downgrade the score in this item. Once it was not a meta-analysis, I2 was not calculated. The inconsistency was assessed through measures of effect and confidence interval in seven studies that showed an association between antimicrobial use and increased nosocomial infection by multi-resistant bacteria. One study showed a low inconsistency because the confidence interval crosses the number 1 and other three studies presented very wide confidence intervals. Although the studies present different methodological differences between themselves and based on PECO question of the review, no serious indirect evidence was observed, since the result and the population are the same in all studies. The absolute effect (difference between the exposed and non-exposed groups) was considered and calculated for the studies that presented the effect measure. The Number of patients Needed to Harm (NNH) was calculated, which presented important variation, suggesting imprecision of the articles. Despite the few studies found, an extensive search was conducted in several databases and references of articles studied. Only one study was excluded by language, but its English summary showed results compatible with the others. The GRADE quality of evidence in the review was very low, since it has already begun with a low level evidence once only observational studies were found. In 2002, the Centers for Disease Control (CDC) started a campaign to prevent antimicrobial resistance with 12 steps, including reinforcing the need for caution when choosing an ATM, using ATM for the shortest duration, and restricting ATM use by culture results.2,6,7,9,13,26,27 Despite the fact that the recommendations do not focus specifically on neonatal care, Cantey7 and Patel27 presented the applicability of these guidelines in a neonatal unit. Calil et al.2 and Landre-Paige et al.26 evaluated the efficacy of the ATM control measures. In a cohort study, Landre-Paige et al.26 demonstrated that simple measures, such as organization of the nursing staff, hand washing, and development of criteria to guide initiation of empiric treatment for early sepsis, were effective in reducing the incidence of nosocomial infections. The empiric treatment used included ampicillin and gentamicin, but was questionable, because in severe cases, the treatment included ceftazidime, which counters the recommendations to reduce the use of cephalosporins.2,10,12,16 The same treatment was maintained during the two phases of the study. Landre-Paige et al. have also shown a significant reduction in the prescription of empiric ATM (from 100% to 51%) as well as a meaningful reduction of HAI (from 10.9 to 2.9/1000 patients per day) and resistant bacteria, mostly GNB (from 79% to 12%). The prospective cohort study conducted by Calil et al.2 evaluated the impact of periodic training of professionals in a tertiary neonatal unit, including training on the rational use of ATM, hand washing, and the withdraw of ceftriaxone from empiric treatment of early and late sepsis in newborns weighting less than 1500 g. This study demonstrated an important reduction in multidrug-resistant bacteria. Evaluating only colonization by this type of pathogen, they observed an odds ratio (OR) of 2.5 associating the use of ceftriaxone and colonization by multidrug-resistant bacteria, and observing a greater occurrence during ceftriaxone utilization. While assessing the occurrence of infection by a multidrug-resistant microorganism, a decrease from 18 to two infections per year was observed after the implementation of the stewardship program, although the number of nosocomial multidrug-resistant bacterial infections was low. In a cohort study, Zingg et al.13 also described a reduction of 2.9% per year in the use of ATM, with no increase in mortality. This study observed a low incidence of multidrug-resistant bacterial infections during the study, thus it was not possible to compare data before and after implementation. In prospective cohort study by Flidel-Rimon et al.28 two periods were evaluated. In the first period, the incidence of infection by resistant Klebsiella pneumoniae was assessed after implementation of hand washing training, improvement of sterile technique, and isolation of patients colonized/infected with resistant bacteria. The first period displayed a notable reduction in the incidence of HAI from 12.5 to 5.3 per 1000 patients, but the incidence of infection by resistant K. pneumoniae remained stable at approximately 2.5 per 1000. However, after modification of the empirical treatment, replacing ceftazidime with piperacillin/tazobactam, the incidence was reduced from 2.5 to 0.45 per 1000 patients. In searching for risk factors of infection by resistant GNB, the cohort studies conducted by Abdel-Hady et al.,5 Le et al.,31 and Murki et al.14 and the case-control study conducted by Huang et al.17 identified the previous use of 3rd and 4th generation cephalosporins as risk factors for infections by ESBL-producing GNB. Abdel-Hady et al.5 observed an OR of 4.9 in the association with previous use of 3rd generation cephalosporins. In a study by Le et al.,31 previous use of cephalosporins presented an OR of 33.7, and an OR of 3.09 for each additional day of ampicillin and gentamicin use and an OR of 1.55 associated with prolonged exposure to cefotaxime and tobramycin. Huang et al.17 demonstrated an OR of 12.8 for the association with the previous use of 3rd generation cephalosporins, and Murki et al.14 reported a significant statistical association between previous use of cephalosporins and infection by ESBL-producing GNB. In a cohort study, Singh et al.33 evaluated patients colonized by ESBL-producing GNB who developed infection by this bacteria. A multivariate analysis identified birth weight greater than 1000 g and prolonged exposition to ATM, independent of the ATM class, as risk factors. In case-control studies, Crivaro et al.30 and Linkin et al.32 also identified prolonged ATM exposure as a risk factor associated with colonization and infection by ESBL-producing GNB. These two studies evaluated infection associated with previous colonization and had a small sample of multidrug-resistant infections, increasing the risk of study bias. The study by Crivaro et al.23 presented an adequate sample and better methodological quality for evaluating colonization. However, the study by Linkin et al.29 was based on a small sample size and a literature review of risk factors for colonization and infection by ESBL-producing bacteria. Pessoa-Silva et al.15 conducted a cohort study to identify risk factors for infection by ESBL-producing bacteria. The authors did not identify previous use of ATM as a risk factor, although the colonization by ESBL-producing bacteria was a risk factor, with an OR of 5.9. In the same study, the authors found that previous use of 3rd generation cephalosporins and aminoglycosides were associated with infection by ESBL-producing GNB, with an OR of 4.6 during the first nine days of hospitalization and an OR of 2.43 after nine days. The authors concluded that previous use of 3rd generation cephalosporins and aminoglycosides are also risk factors for infection by ESBL-producing bacteria. The CDC-recommended restriction on vancomycin use is aimed at preventing the development of vancomycin-resistant Enterococcus (VRE), which is considered a global issue because of the high mortality associated with this difficult to treat agent.12,16,36,37 Studies evaluating risk factors related to VRE infection in neonatal unit care were not found. However, there are studies associating colonization by these agents, which can be considered a risk factor for infection.2,12,15,16,30,32,33,36 During an outbreak of VRE in neonatal care units, Iosifidis et al.36 and Malik et al.37 assessed risk factors associated with colonization by this microorganism, and identified previous use of ATM, mainly 2nd line agents, such as vancomycin, meropenem and cefepime, as potential risk factors. Despite the low quality of evidence, the described studies demonstrated an association between inadequate use of ATM and increase of resistant HAI in neonatal units. There is significant difficulty in performing high-quality studies because of ethical issues when conducting randomized trials in this population. In addition, there are other factors associated with the occurrence of multidrug-resistant bacterial infections, such as lack of personnel training, inadequate hand washing by the staff, and inadequate sterilization of the materials and aseptic technique procedures at the units, which may be biases in these studies. Thus, new studies are warranted in order to understand bacterial ATM resistance and propose adequate treatments to improve quality of care for newborns. Neonates’ immune systems are immature, which contributes to the occurrence of healthcare-associated infections (HAI). Difficulties in the diagnosis of neonatal sepsis leads to a tendency to over-treat neonatal sepsis. Inadequate use of ATM and the increase in neonatal sepsis are related to HAI due to bacterial ATM resistance. Additional studies should be encouraged to better understand bacterial ATM resistance and propose adequate treatments to improve the quality of care for newborns. Challenges in the diagnosis and management of neonatal sepsis. R. Calil, S.T. Marba, A. von Nowakonski, A.T. Tresoldi. Reduction in colonization and nosocomial infection by multiresistant bacteria in a neonatal unit after institution of educational measures and restriction in the use of cephalosporins. Bloodstream infections: epidemiology and resistance. D. Yusef, T. Shalakhti, S. Awad, H. Algharaibeh, W. Khasawneh. Clinical characteristics and epidemiology of sepsis in the neonatal intensive care unit in the era of multi-drug resistant organisms: a retrospective review. H. Abdel-Hady, S. Hawas, M. El-Daker, R. El-Kady. Extended-spectrum beta-lactamase producing Klebsiella pneumoniae in neonatal intensive care unit. Principles and strategies of antimicrobial stewardship in the neonatal intensive care unit. Antimicrobial stewardship in the NICU. Antibiotic stewardship in perinatal and neonatal care. B. Cailes, S. Vergnano, C. Kortsalioudaki, P. Heath, M. Sharland. The current and future roles of neonatal infection surveillance programmes in combating antimicrobial resistance. C. Tzialla, A. Borghesi, G. Serra, M. Stronati, G. Corsello. Antimicrobial therapy in neonatal intensive care unit. Unnatural selection: reducing antibiotic resistance in neonatal units. Antibiotic resistance in neonatal intensive care unit pathogens: mechanisms, clinical impact, and prevention including antibiotic stewardship. W. Zingg, R. Pfister, K.M. Posfay-Barbe, B. Huttner, S. Touveneau, D. Pittet. Secular trends in antibiotic use among neonates: 2001–2008. S. Murki, S. Jonnala, F. Mohammed, A. Reddy. Restriction of cephalosporins and control of extended spectrum β-lactamase producing gram negative bacteria in a neonatal intensive care unit. C.L. Pessoa-Silva, B. Meurer Moreira, V. Camara Almeida, et al. Extended-spectrum beta-lactamase-producing Klebsiella pneumoniae in a neonatal intensive care unit: risk factors for infection and colonization. Antibiotic-resistant organisms in the neonatal intensive care unit. Y. Huang, S. Zhuang, M. Du. Risk factors of nosocomial infection with extended-spectrum beta-lactamase-producing bacteria in a neonatal intensive care unit in China. D. Moher, A. Liberati, J. Tetzlaff, D.G. Altman, P.G. The. Revisões sistemáticas da literatura: passos para sua elaboração. J.C. Andrews, H.J. Schunemann, A.D. Oxman, et al. GRADE guidelines: 15. Going from evidence to recommendation-determinants of a recommendation’s direction and strength. How to GRADE the quality of the evidence. M. Malta, L.O. Cardoso, F.I. Bastos, M.M.F. Magnanini, Silva CMFPd. Iniciativa STROBE: subsídios para a comunicação de estudos observacionais. E. von Elm, D.G. Altman, M. Egger, S.J. Pocock, P.C. Gotzsche, J.P. Vandenbroucke. C. Landre-Peigne, A.S. Ka, V. Peigne, J. Bougere, M.N. Seye, P. Imbert. Efficacy of an infection control programme in reducing nosocomial bloodstream infections in a Senegalese neonatal unit. S.J. Patel, A. Oshodi, P. Prasad, et al. Antibiotic use in neonatal intensive care units and adherence with Centers for Disease Control and Prevention 12 Step Campaign to Prevent Antimicrobial Resistance. O. Flidel-Rimon, S. Friedman, S. Gradstein, R. Bardenstein, E.S. Shinwell. Reduction in multiresistant nosocomial infections in neonates following substitution of ceftazidime with piperacillin/tazobactam in empiric antibiotic therapy. M.-H. Tsai, S.-M. Chu, J.-F. Hsu, et al. Risk factors and outcomes for multidrug-resistant Gram-negative bacteremia in the NICU. V. Crivaro, M. Bagattini, M.F. Salza, et al. Risk factors for extended-spectrum beta-lactamase-producing Serratia marcescens and Klebsiella pneumoniae acquisition in a neonatal intensive care unit. J. Le, T. Nguyen, M. Okamoto, S. McKamy, J.M. Lieberman. Impact of empiric antibiotic use on development of infections caused by extended-spectrum beta-lactamase bacteria in a neonatal intensive care unit. D.R. Linkin, N.O. Fishman, J.B. Patel, J.D. Merrill, E. Lautenbach. Risk factors for extended-spectrum beta-lactamase-producing Enterobacteriaceae in a neonatal intensive care unit. N. Singh, K.M. Patel, M.-M. Léger, et al. Risk of resistant infections with Enterobacteriaceae in hospitalized neonates. C.S. Bryan, J.F. John Jr., M.S. Pai, T.L. Austin. Gentamicin vs cefotaxime for therapy of neonatal sepsis. Relationship to drug resistance. R. Spritzer, H.J.V.D. Kamp, G. Dzoljic, P.J.J. Sauer. Five years of cefotaxime use in a neonatal intensive care unit. E. Iosifidis, I. Evdoridou, E. Agakidou, et al. Vancomycin-resistant Enterococcus outbreak in a neonatal intensive care unit: epidemiology, molecular analysis and risk factors. R.K. Malik, M.A. Montecalvo, M.R. Reale, et al. Epidemiology and control of vancomycin-resistant enterococci in a regional neonatal intensive care unit. Support – Institutional Scholarship of Federal University of Minas Gerais/Fundação de Amparo a Pesquisa de MInas Gerais (FAPEMIG).